TheFishie's Kitchen and Home: Cricut Lite Cartridges!!! 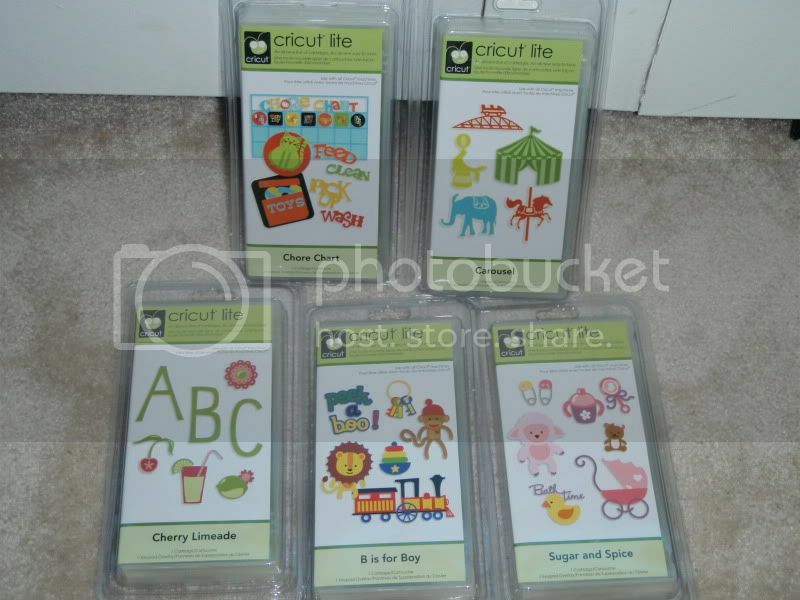 As I shared last week, my wonderful auntie went to Walmart at first thing last Saturday morning to hunt for some of the new Cricut Lite cartridges for me since I don't have Walmart nearby. These are the 5 from my wishlist that she was able to find. I'm still on the lookout for Savory and Celebrate with Flourish, but these will keep me well-occupied for now. Thanks so much!! !